Virus presents its water-based inks with WOW technology for wet on wet screen printing. 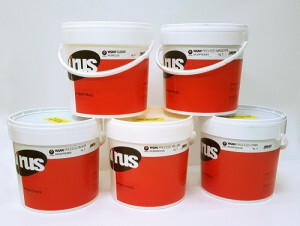 The inks are designed and tested to perform any wet on wet printing technique and any kind of subject with no need for flash units in between the color printing process. The printer gives the possibility to save costs and increase the productivity. The WOW technology water based inks are PVC, phthalates and formaldehyde free. The inks comply with the strictest ecological limitations of harmful chemical substances required by the most important textile industry brands (standard Oeko-Tex 100 Class 1). Virus offers technical support, a color matching system online and an online color separation service. Virus also supports all textile screen printers to smoothly switch from plastisol to water-based printing by upgrading its own technology.